Run by professional musicians with over 16 years experience within the industry, Live It Live possess every quality that is required to ensure your event is a success from start to finish. 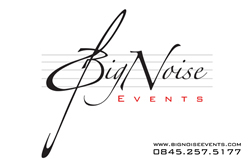 Big Noise Events provides the best of International Entertainment with 20 Years combined experience ensuring your special day is a memorable one. We have drawn together a whole host of talent straight from the West End & Broadway committed to bringing you the highest standards of performance. Providers of Top Class Entertainment for any Celebration. From singers with a disco, a ten piece disco-funk band, or a themed tribute night, we'll have the right music for your venue, event, wedding, civil partnership and celebration, delivered to your requirements and just as you planned. 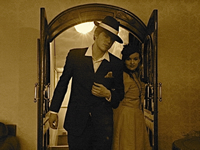 Gardenia are a stylish lounge-jazz duo who will add an extra sparkle of sophistication, glitz & glamour to your special day. Californian diva Phillipa wraps her luscious larynx around Great American Songbook standards - think Ella Fitzgerald, Billie Holliday - and camp classics from Peggy Lee and Judy Garland. 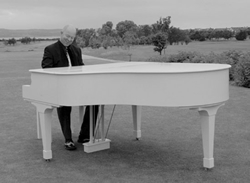 Professional pianist & vocalist performing on his "portable" 5ft WHITE BABY GRAND PIANO at your ceremony and throughout the day or into the evening with more upbeat sets. 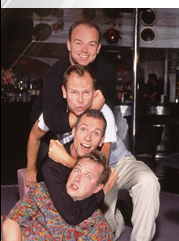 Solo or with a selection of duos, trios & party bands. Huge playlists and demos online. Oh, and he's good fun too!